Categories > In The Water > Locals Only? This lawyer may be going after Wes next based on Wes' part in Dogtown and Z Boys. Typical Guardian newspaper, better suited as toilet paper. They were Localizing surf spots way before Me & it was already going strong when I was growing up & I was lucky I worked at the shop & knew a lot of locals. My 2 best friends K.K., Hollngsworth & I were stopped under POP at the Cove by a Big Guy "Craig Preakon" with a baseball bat asking where did we think we were going, then He recognizes my friends as younger brothers of 2 Hot girls He knew few the beach & said OK go ahead, I said I'm with Them really fast & got going! Hahahahah We had our rides ripped a few times over the years at Oxnard mostly at Scrap Metal & saw other guys cars smashed & trashed. Yeah, it's pretty obvious that local bullying has long been ingrained in the surfing culture. Your sound bites in Dogtown and Z Boys were not only very amusing, but also made the point about "localizing" very clearly. When I was at Waikiki many years ago, I rented a longboard and tried to learn how to surf. The waves were really small but if you could catch one, you could ride it a long time. I was mainly bobbing around out there and getting sea sick. Seems like wherever I paddled to, the waves would be breaking somewhere else. There was only one other surfer out there, who I assume was a local (he acted like it anyway). He got sick of me sort of getting in his way (not sure how - it's a big bay and nobody else out there) and started to hassle me. So, here I am at probably the most touristy break in the whole world getting hassled by a "local." Well, a least he didn't throw anything at me or steal my rental. 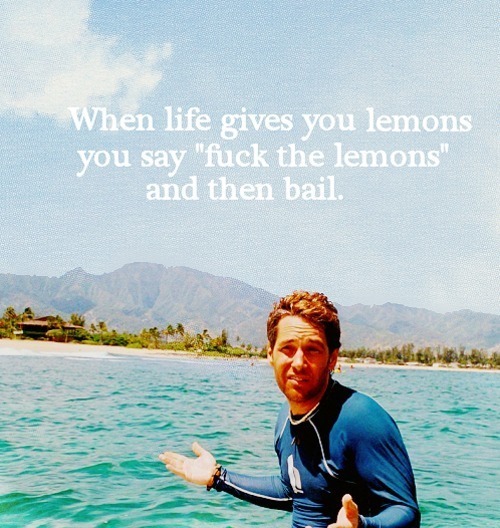 I should have had Kunu with me that day. We get that here as well. Locals queue up on the Point, and you join in behind. They get 4 waves to your 1, if you're lucky. The top surfers hog it to themselves, and if you're not with the in-crowd, you don't get a look in. Find another beach is usually what happens.